On behalf of the Connecticut Yankee Council, I would like to welcome you to the University of Scouting, an OUTSTANDING DAY OF TRAINING FOR ADULTS LEADERS AS WELL AS VENTURERS AND EXPLORERS. Our faculty and staff have put together an amazing program again this year, with a wide range of useful courses to choose from. I know you will find some great nuggets of knowledge and skill to take back and enhance your program, and probably definitely make some new Scouting friends. Please take the time to browse the course offerings from every college. While the courses are listed by college, everyone is free to take courses from any college. We’ve tried to make this catalog easy to read and understand, and more handy when planning your time with us. As chair of this great event, I know that our Deans have worked tirelessly to select excellent course content, refine the schedules and recruit the best instructors possible. Our instructors are passionate about Scouting and about improving the program for our youth, and it will show in the way they deliver the program. Our administrative staff has worked for months making sure those things we all take for granted are working for us when we arrive. This year marks the fifth time that Connecticut Yankee Council is offering the University of Scouting, and I promise that we will do our best to make this a memorable experience (the GOOD kind of memorable). For those many Leaders who attended the UoS in past years, we heard your feedback. We have continued to make changes, added courses, and improved our processes. And we hope you notice our improvements. University of Scouting is for EVERYONE; our classes in the Cub Scout College, Scouts BSA College, Venturing & Exploring College, and College of General Studies are superb. And we haven’t forgotten our Commissioners. The College of Commissioner Science is also presenting a wide range of excellent courses. The College of Commissioner Science follows the guidelines from the BSA National Council and is offering Bachelor’s, Master’s and Doctorate degrees in Commissioner Science. If you have ANY questions, please contact me or any member of the staff. I look forward to greeting each of you in March! 2 CS 322 CANCELLED Journey to Excellence – What Is It & How Can It Help Me? 6 CS 310 Camping Equipment: What do you need/What do you want? CS 103-Cubmaster Specific Training: 2 Period Class. Required Training for all Cubmasters. Fundamentals of being a Cubmaster. You must attend both sessions in order to complete the training. CS 114-Pack Committee Training: 2 Period Class. Required Training for all Committee Members. Fundamentals of being a Committee Member. You must attend both sessions in order to complete the training. No singing ability required for this class – just a positive attitude and a sense of fun. Learn how to lead a song and take home some new ones for your next campfire. Cub Scout Song Book available at Scout Shop and PDF here. Online Song Book here. Learn how to plan and execute great but simple ceremonies. Learn from the experts what works in the “other” Den or the “other” Pack. Adult Course. Harness that youthful energy, build rapport between Cub Scouts and Boy Scouts and help develop leaders. Learn how having a Den Chief can be awesome. CS 123-Den Leader Specific Training – Tigers, Wolf, Bear, Webelos: 2 Period Class. Required Training for all Den Leaders. Fundamentals of being a Den Leader. Required training for new Den Leaders. Get your Cub Scouts started on a great path by learning some basic knots. Guide to Safe Scouting. General Guidelines here. Do you have parents at your Pack meetings that hang out in the back and talk to the other adults? Why not get them to help out? This class will help you identify the ways that those parents can help at meetings and den or pack outings. Learn the best strategy for getting those parents to help and the best way to utilize their skills to help out. Learn the basics of Front Country Leave No Trace principles so you can share the practices with your Cub Scouts and leaders. Learn how to offer a religious awards program to your Unit. More information here. Recommended for men only. What men want to know about how to work with women leaders and female scouts on the trail in Scouting. Equipment, personal care, preparation… A frank discussion of issues related to women and girls and examples of equipment that works for female trekkers. Recommended for women only. What women want to know about how to manage on the trail in Scouting. Equipment, personal care, preparation… A frank discussion of issues specific to women and examples of equipment that works for female trekkers. Do you have an Asst Cubmaster in your Pack? Do they help you out? Find out how to engage them and find out what they can do to assist you during meetings and outings. Looking for some ideas on what to do with your Cub Scouts outside of the meeting? Even when the weather is cold or rainy, there are plenty of ways to get out and about. All 4 seasons will be discussed and ideas of indoor and outdoor activities you can safely hold with your Cub Scouts. If money grew on trees… Well you get the idea. Learn about great gadgets as well as the basic gear needed for camping, whether you are on a tight budget or the money tree DOES grow in your yard. Learn how to choose, prepare and deliver fun skits that build confidence for your scouts. We will discuss strategies and pitfalls, and yes, perform a little theory-to-practice. Looking for great service ideas for your Cub Scout pack? Come learn about all the neat ways Scouting can give back to the community. Interested in how to get your new Scouts involved and excited in the Pack? This class is a perfect way to find out, learn about gathering activites, games and more to increase excitement. Transition from Webelos to Boy Scout is not supposed to be difficult. Learn what works and learn how to guide your Webelos II Scouts (Arrow of Light) – and their parents) in picking the best Troop to meet their needs. More information here. A Pack that is not growing is a Pack that is not going. Learn techniques for getting more youth to join the Pack. Learn how to provide Scouting opportunities for youth with ADHD or Autism that will allow them (and you) get the most out of the Scouting program. 6 BS 310 Camping Equipment: What do you need/What do you want? BS 103-SM/ASM Training: 3 Period Class. Required training for ALL Scoutmasters and Assistant Scoutmasters. The course provides Scoutmasters and ASMs with the basic information and tools they need to lead successful Scouts BSA troops. This is the indoor portion of required SM/ASM training. For the outdoor class (IOLS), please check the Council Training Course Catalog. BS 104-Troop Committee Challenge: 3 Period Class. This course is intended to provide the Troop committee members with the basic information to help manage the Troop. Required training course for Committee members. Eagle is the pinnacle rank for Scouts, and a significant life achievement. 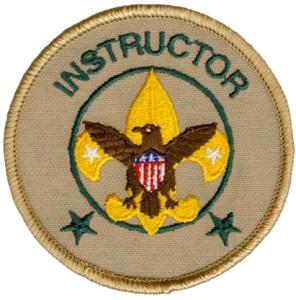 This course provides a soup-to-nuts discussion from when the Scout makes Life Scout until the parents pin on the Eagle badge. Every Troop does it differently; come and share ideas, and pick up new ideas. Developing your first year Scout program for better scout retention. Learn how to run an OUTSTANDING outdoor program, 12 months a year. One of the the MOST IMPORTANT jobs that a successful Scoutmaster has is running Scoutmaster Conferences. Learn how to be an expert, from other experts. More information here. Learn how to plan and run quality Troop meetings. Learn how to ensure that the Troop and Troop meetings are “youth led”. Learn how to effectively mentor your SPL to lead the Troop meetings. The first year of Scouts BSA is full of opportunities for advancement. Come hear our practical suggestions to help every Scout reach First Class, including discussions, Scoutmaster’s conferences, and activities that can be used for advancement. BSA Guide to Advancement 2019 is here. Other Advancement Resources here. Let’s go for a hike, or many hikes. How to plan for Hiking Merit Badge. Learn lots of great ideas of where to go hiking in the area. MB Requirements here. Learn how to develop your youth leaders. Learn about ILST, NYLT, and why you want your youth to complete these training programs. More about NYLT. ALL successful Troops make effective use of the Patrol Method. Plus, the Patrol Method makes the Scoutmaster’s job so much easier. Learn how to use the Patrol Method in ANY Troop. The Board of Review is a critical step in the advancement process. Done effectively, your Scouts will learn much more than that they have “passed”. Learn how to use this time to give purpose and guide your Scouts. More information here. The Scoutmaster Minute is a powerful tool. Are you using it effectively? Learn from the experts how to give a GREAT Scoutmaster Minute, any time. Tired of the same old fundraisers? Learn about simple but effective fundraisers for the Troop that won’t take up all of your time but still helps the Troop bank account. Scout Leaders get trained because…..??? Learn why a trained Scout Leader is critical to the success of the Troop, and how to motivate your unmotivated (and untrained) Leaders to become trained. Required training for Merit Badge Counselors. Learn how to be an effective Merit Badge Counselor. Required training for all Merit Badge Counselors. This class is also available online. Learn all about how to recognize if your youth members (or your own children) are at risk, participating in risky activities. If Scouting is a game with a purpose, why aren’t we having fun at our unit meetings or training sessions? Explore ways to make Scouting more fun and interesting for the youth (and adults) while teaching leadership skills. Inter‐patrol activities, contests, competitions, games, and Troop outings will be discussed and demonstrated. Offered Twice. One of Scouting’s best kept secrets. Learn all that Maine High Adventure Camp has to offer for your Unit. More information here. Learn the basics of Front Country Leave No Trace principles so you can share the practices with your Scouts and leaders. Outdoor Ethics Guide here. Learn all about how to recognize the warning signs of depression, drug use, and suicide in your youth members. Learn all about how to dehydrate your favorite camping foods. Learn how to deliver a great Orienteering program to your Scouts, and make it part of your troop program. Also learn about the Orienteering Merit Badge. No, every event does not need to be expensive? There are plenty of places to go and things to do in New England that won’t break the bank. Learn the ins and outs of planning for a Philmont trip, as well as for your other high adventure trips. With the right planning, your trips will be successful, and more importantly – YOU and your Scouts will have fun. Philmont link here. Learn the ins and outs of starting a new Troop, a new Troop for girls. We’ve done it over a dozen times in CYC so far in 2019, and we will share what works (and what doesn’t). Transition from Webelos to Boy Scout is not supposed to be difficult. Learn what works and learn how to guide your Webelos II Scouts (Arrow of Light) – and their parents) in picking the best Troop to meet their needs. This presentation will assist SMs, Advancement Coordinators, Eagle Mentors/Coaches, and other Leaders to better understand the EBOR process. Participants will become familiarized with the paperwork involved: the Eagle Project Workbook and the Eagle Scout Rank Application. Discussions will cover candidate completion expectations as well as the specific Adult Leader responsibilities throughout, from start to finish. Scouting for Youth with Disabilities Manual.. Learn how to provide Scouting opportunities for youth with ADHD or Autism that will allow them (and you) get the most out of the Scouting program. More information here. For information on the Doctorate of Commissioner Science Knot Award, click here. The position of commissioner is one of the oldest in Scouting. This course reviews and reinforces the commissioner core concepts and identifies the key skills needed for commissioner to be able to assess the units they serve. Although commissioners are viewed as very knowledgeable and capable individuals, a key part of their job is to actually point a unit in the direction of the actual process owner specific topics. Many of those topics have a process owner on the local District Committee who has ready access to further resources and wisdom. This course will help commissioners link units with resources on the district level. JTE is the BSA’s tool for helping leaders plan their program, monitor progress and assess their Scouting success. Scouting success takes many forms, and JTE success employs a “balanced scorecard” to evaluate success. The standards enable both large Scout units and small ones to succeed — as long as they provide good Scouting to youth. Commissioners are asked many questions and assumed to be experts on everything. Although they may wish to be an expert, knowing where to find information can make them a virtual expert. In this course we will concentrate not on the local “who do you call” but on using the internet, in effect, mining internet resources. In this course, we examine the roles of the unit key 3 and how commissioners work with and coach each. In this course, the participants will be learning how to plan a year roundtable program to best serve the units in their districts. They will also discuss how to promote Roundtables to the units they serve. Annually, sponsoring organizations and units apply to BSA for a new charter to deliver the Scouting program. This process validates youth membership and qualified leaders, confirms agreement to follow BSA policies, and collects registration fees. Commissioners must lead these activities which may engage volunteers who are inexperienced or unfamiliar with BSA procedures. This session explores leadership techniques to prepare, guide, and support units in completing accurate charter renewal applications on-time. In this course, we will review how commissioner tools can assist commissioners working at the district level understand how their units and commissioners are performing. In this course indicators of units at risk, approaches for investigating units reported to be at risk and resolving the issues that have put the unit at risk are discussed. In this course, we will discuss how the servant leadership concept is carried out in the commissioner service. Effective recruiting is vision-based. Your success will be greater if you have a vision for your term of service that guides you. This course will give you the tools you need to recruit a full commissioner team. Onboarding commissioners is an important part of the recruiting process. Onboarding familiarizes new commissioners with the roles and responsibilities of their new position. This course will walk you through the process of onboarding new commissioners to get them ready to serve units. This session assists doctoral candidates in selecting their project/thesis concept. Once a topic is selected limiting the scope and developing your project or thesis can be a daunting task. This course will also aid in making your thesis or project manageable. Commissioner service is all about relationships. This session suggests ways in which commissioners may go about building and maintaining positive relationships with those they serve. It also discusses possible pitfalls that can undermine relationships. The Unit Service Plan is the roadmap to unit success. With appropriate guidance the commissioner staff can provide significant unit assistance. The district administratives will need comprehensive data to set the course for unit success across the district. 6 VEN 310 Camping Equipment: What do you need/What do you want? Part 1 is for Crew Advisers and Crew Committee Members. Crew Adviser is a 3 part course; Crew Committee is a 2 part course. Part 2 for Crew Advisers. Part 3 for Crew Advisers. Committee Members are welcome to take Crew Adviser Part 3, Recognition and Annual Program Planning, but will not be considered Trained for Crew Advisor unless they have also completed Advisor Parts 1 and 2. The Introduction to Leadership Skills for Crews (ILSC) course was created to help Venturers learn and practice the attitudes and skills effective leaders demonstrate. Practicing and mastering these skills within the crew will provide Venturers with positive leadership experiences in and outside of the crew. Teen Depression/Drug Use/Suicide: Learn all about how to recognize the warning signs of depression, drug use, and suicide in your youth members. What do you need/What do you want? : If money grew on trees… Well you get the idea. Learn about great gadgets as well as the basic gear needed for camping, whether you are on a tight budget or the money tree DOES grow in your yard. Is your unit harnessing the power of social media? Learn how Facebook, Twitter, Instagram, blogs and other channels can help you recruit youth, engage existing members, and showcase your unit’s successes. Through creative ideas and best practices, you’ll be ready to make social media one of your unit’s best marketing tools. We will also help you “Be Prepared” for the various laws and regulations that apply to social media to make sure you’re compliant. BSA Social Media Guidelines. BSA Social Media Playbook. BSA Marketing and Membership Info. Learn all about Wood Badge, the BEST leadership training that BSA has to offer. Learn how Wood Badge will benefit you, your Unit, your career, your family. Learn why you should take Wood Badge. More information here. Tracking the Scouting Experience from Tiger to Eagle. From the first knot tied to final hours of service performed, Scouting is a journey like no other. Scout Book ensures not a moment is missed ‐ tracking advancement, milestone achievements and all the fun. A new system of tracking being offered by the BSA. Find out the basics of how Scout Book can support your program and how to use it. More information here. It’s important in the Scouting program to offer opportunities for youth to develop leadership. Running youth led programing lets youth develop these skills while being mentored and guided by adults. How to encourage your youth, leaders and parents to support youth led program. The number 1 fear of most people isn’t death – it’s public speaking. Learn the basics on how to be an effective public speaker. GS 210 & GS 211-Stop the Bleed: 2 Period Class. Offered twice. Stop the Bleed continues to empower the general public to make a difference in a life-threatening emergency by teaching the basic techniques of bleeding control. More information here. So you aren’t the Scoutmaster, or the Cubmaster, but you want to make some changes in the unit program, or the next camping trip, or the next fundraiser. Learn how to make change happen even when you aren’t the top leader in the unit. A new look at old ways of working wood, campsite gadgets and how to use this in your camping program activities. We will cover non-powered camp tools, work holding methods, ways to make camp sites more fun and comfortable. Hands on learning of enhanced activities to add to Totin’ Chip that should help reduce the number of adhesive bandages given to scouts… or scouters. Can boys and girls camp together? Yes. Can boys and girls tent together? No. For the first time, female Scouts are part of Cub Scouts and more recently, Scouts BSA. Learn the rules of Youth Protection and how to make those rules really work. 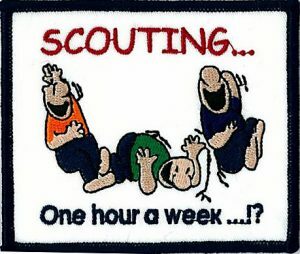 Note 1: University of Scouting concludes immediately after the 6th class period. There is no closing ceremony. Note 2: Everyone is invited to attend a Commissioner Recognition ceremony including awarding of degrees, in the Cafeteria, at 4:30 PM. Please note: This is NOT Merit Badge College. No Merit Badges are being offered to Youth Members. Registration for UoS is only available online. The basic registration fee is $30.00 per participant (including faculty and staff). This fee includes morning snack, lunch and a course patch. Participants will be asked to make all course selections when registering. Any dietary restrictions (for participants and for any children in child care) should be identified when registering. Additional course patches can also be ordered ($3.00). A limited edition 7 inch jacket patch for UoS can also be ordered when registering ($15.00). CHILD CARE: Child care is being offered this year at NO cost. Yes – Child Care is FREE. Child care includes snacks and beverages (water and fruit juices), but does not include lunch; you must bring a bagged lunch for each child. Children must be at least 4 years of age. Child care must be requested as part of the UoS on-line registration (no walk-ins for child care, please). It is vital that you include a valid email address when registering for UoS. We will use your email address to communicate any schedule changes (or weather delays) as well as send you a transcript of completed courses AFTER the event. 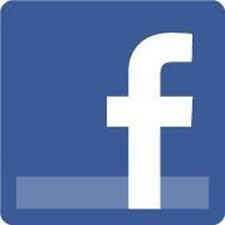 Schedule changes and other current information is also posted on the UoS Facebook Page. Youth members (anyone under age 21) registering for any Venturing courses, including Explorers, MUST provide a second email address for a parent, guardian, or unit leader – NO EXCEPTIONS. This second email address requirement is part of Youth Protection. When you check-in at the registration desk on the day of the event, you will be given a schedule of the courses you selected online, along with room assignments. To make sure we have an accurate record of your participation, instructors will take attendance in each class. Youth Protection Training for all participants 18 years and older MUST BE CURRENT (completed on or after February 5, 2018) when registering. UoS registration will be rejected for any adult who is not current in their Youth Protection Training. Please contact the Registrar with any questions about this requirement. What is University of Scouting? UoS is an all-day event focused on providing lots of Supplemental Training classes for Adult Leaders and Venturers. Over 150 class offerings are included in our catalog, focused on all programs (corresponding to the five “colleges” in the UoS): Commissioners, Scouts BSA, Cub Scouts, and Venturing & Exploring, as well as a broad range of General Studies courses that cut across all program lines. Learn how to sing songs, tie unique knots, successfully recruit more youth, plan an amazing outing, run an awesome unit meeting, and fix unit problems that never quite get solved in the all too frequent “parking lot” meeting after the meeting. University of Scouting includes a complete Commissioners’ College. How do I sign up? First, review the UoS Course Schedules. Once you have selected your classes, go to the online reservation system. You will register for classes, tell us if you need FREE child care for the day, identify any dietary issues, and pay for the day. The course offerings are listed across five different “colleges”. HOWEVER – ANY adult participant can take ANY class in ANY college. Contacts: The members of our staff of the UoS are here to help, answer questions, and make course participation at UoS as informative (and as FUN) as humanly possible. Do not hesitate to contact us. Thank you for your dedication to effective Scouting. Your participation in this training event illustrates that you care about the quality of the Scouting program that you are able to deliver for the youth whom you serve. The ability of Scouting to make a difference for our youth depends on volunteers like you who participate in training programs to seek broader knowledge and continual improvement. This event provides the broadest variety of Scouting course offerings under one roof available for Scouters and Scouts in our area. Please enjoy your visit with us today. Absorb all that you can, and then relay what you have learned back to your units and districts. This is your primary responsibility as a UoS participant. But please don’t stop there. Scouting needs you to help our program be even more effective next year. There are three key ways that YOU can help. As a UoS participant, we have the following requests to ask of you. Feedback is a gift. Your feedback for each class taken and for the UoS as a whole helps to guide the staff to improve the program for next year. Any and all constructive feedback is greatly appreciated. We will email a link to an online survey after UoS is completed. Please complete the evaluation form for each course to let us know what you liked and what you didn’t. The gift of your feedback enables us to ensure that we continue to meet your needs as a Scouting leader. And if your instructor did a good job, remember to say “thank you”. Spread the Word. Did you know that it takes almost the same time for the staff to prepare this event whether we draw 175 or 575 participants? Or that it takes our instructors the same time to prepare whether 3 or 23 participants register for the class? Therefore, the effectiveness of this event to have a positive impact on the youth in Scouting is directly proportional to the number of seats filled in the classrooms. YOU are our best channel for promotion. If you are interested in being a participant, so might others in your unit and in your district. So tell others. Please. And bring a friend (or two or five) to this year’s UoS. Share what you know. What’s the difference between a faculty or staff member and a class participant? NOTHING! We are all Scouting volunteers. All staff members have “real” Scouting jobs just like you. And we are ALL attending UoS to learn. For any individual course to succeed, we need and want an exchange of ideas. Very few of our classes are designed as one sided lectures. So ask questions and share your ideas during class. Don’t simply attend UoS, please, please, please PARTICIPATE. Dress Code: The full BSA field uniform (AKA Class A Uniform) associated with your unit and program is the appropriate attire for all UoS participants and faculty. For members of unit committees or unregistered parents – the proper attire is what you would wear to one of your unit meetings. Please note that some classes will be held out of doors, rain (snow) or shine. So BE PREPARED for the weather. Remember, this is New England….in March. Cell Phone Use: Cell phone courtesy is expected at all times. Texting during class is prohibited (please) and phones must be on vibrate-only mode (unless you have a child in child care; in that case, please leave your phone on at all times). We know that life does not stop while attending a Scouting event. If you must make or take a call, please exit the classroom quietly. Note that the UoS staff may use their cell phones for urgent communications during the event. This is key to our event day communications. Entry: Wheelchair access is available to all floors of the school. Code of Conduct: All participants, staff, and guests are expected to conduct themselves in accordance with the principles set forth in the Scout Oath and Law. Scouts (and Scouters) always leave their environment better than they found it and we encourage everyone to clean up after themselves and others. We need your help in practicing Leave No Trace throughout the day. Youth protection measures are in effect at all times. First, THANK YOU for agreeing to serve as a valued member of the faculty of the University of Scouting. Your subject matter expertise, experience as a trainer, and your enthusiasm are each critical to the success of our program. At your earliest convenience, please register online for UoS. As part of your registration, please actually register for the class or classes you are teaching. If you are sharing teaching responsibilities with another leader, BOTH of you should register for the class(es). Note: during each class period registration, there is a choice for “Faculty or Staff”; if you are teaching in any period – do not select “”Faculty or Staff”. Do select and register for each class you are teaching. When you aren’t teaching a class, you are welcome, indeed – encouraged – to register for classes as a participant. Contact your Dean, ASAP, for any special requirements you have for your class, such as special electronic equipment, internet access, extra desk or floor space, or a special out of doors setting. In general, you should assume that all indoor classrooms will be equipped with a computer projector and screen. If you have a presentation or video to show as part of your class, you should plan to provide your own laptop computer. Again, contact your Dean, ASAP, if you cannot provide your own laptop. Also, it would be EXTREMELY HELPFUL if you could bring your own video cables; all projectors in the school use an HDMI connection. While we cannot guarantee that your cables will work in all classrooms, bringing your own cables increases the chances that your technology will work. Our crack IT staff will have a limited number of extra HDMI cables. AND to be (fully) prepared, please bring a copy of your presentation on a USB flash drive. That way, if your laptop doesn’t work or doesn’t communicate with the projector, we will locate a spare laptop for your use. On the day of the event (Saturday, March 16, 2019), please check-in. There will be a separate faculty/staff check-in area at the rear of the cafeteria at 7:30 AM. At check-in, you will pick up your room assignments, class attendance lists, as well as your own registration confirmation for all classes you registered for (including the classes you are teaching). If you are teaching a required course, we will have pre-printed “Trained” cards for you to distribute to your participants. And for all required courses, the UoS Registrar will ensure class attendance lists are recorded in ScoutNet. So, if there are any changes (adds or drops) from the class list you picked up when you checked in, please give it, or better yet, email or text a photo of it to the registrar. Please don’t hesitate to contact any member of the staff with questions or concerns. Once again, THANK YOU VERY MUCH for serving as a member of the Faculty for UoS. You are making a difference.